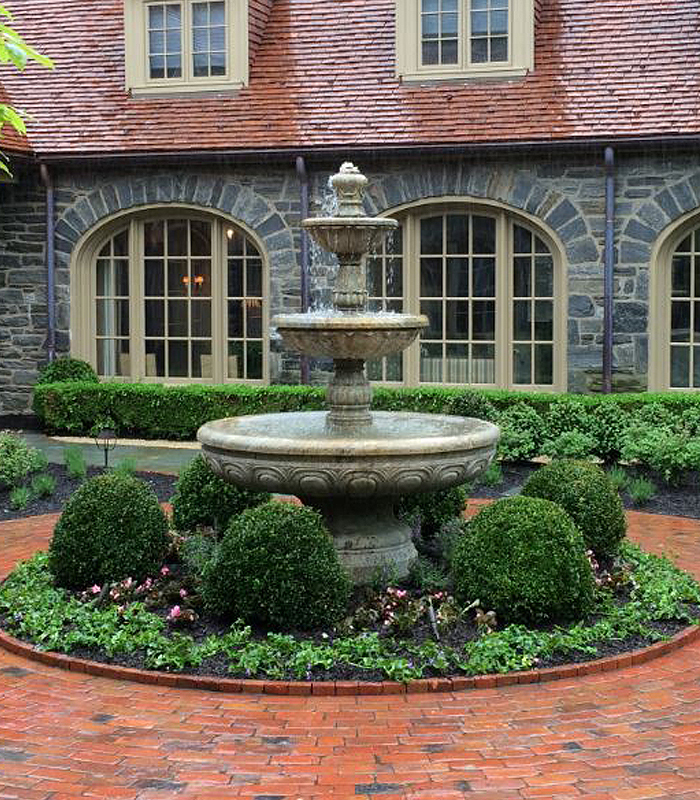 A Tiered Granite Motor Court Fountain turn key installation in Morristown NJ. 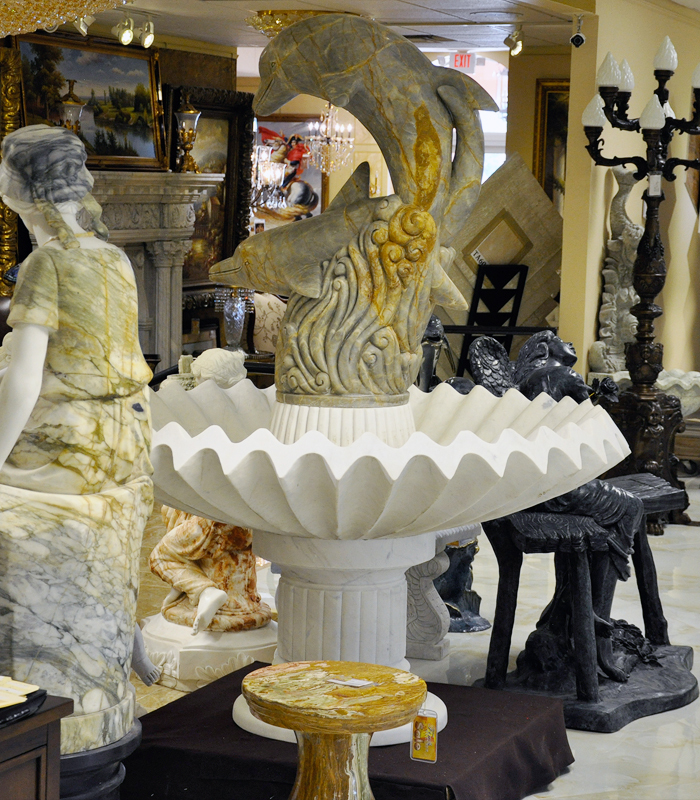 Our South Florida showroom is filled with rare exotic natural marble, granite, travertine and limestone for your extra large outdoor fountain needs. All under one roof! 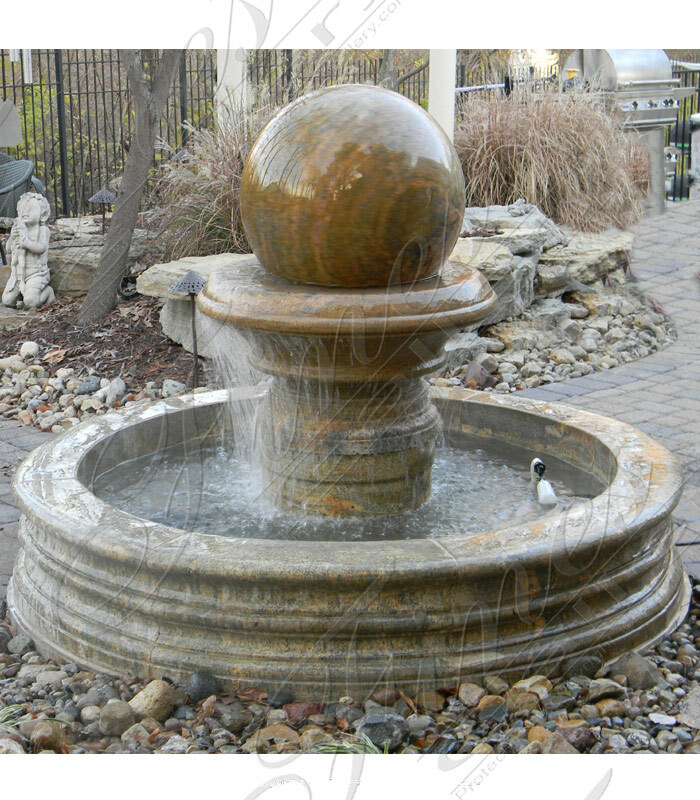 A Circular Granite Fountain Feature, perfect for any motor court or garden that requires a low lying fountain. 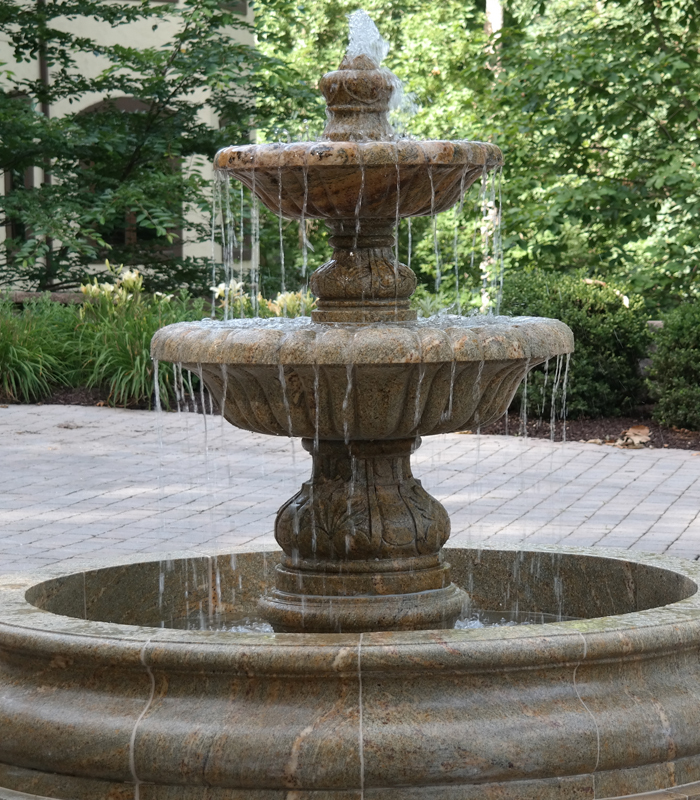 This fountain has been carved from naturally quarried antique gold granite which is an ideal choice for Northern US or Canada. 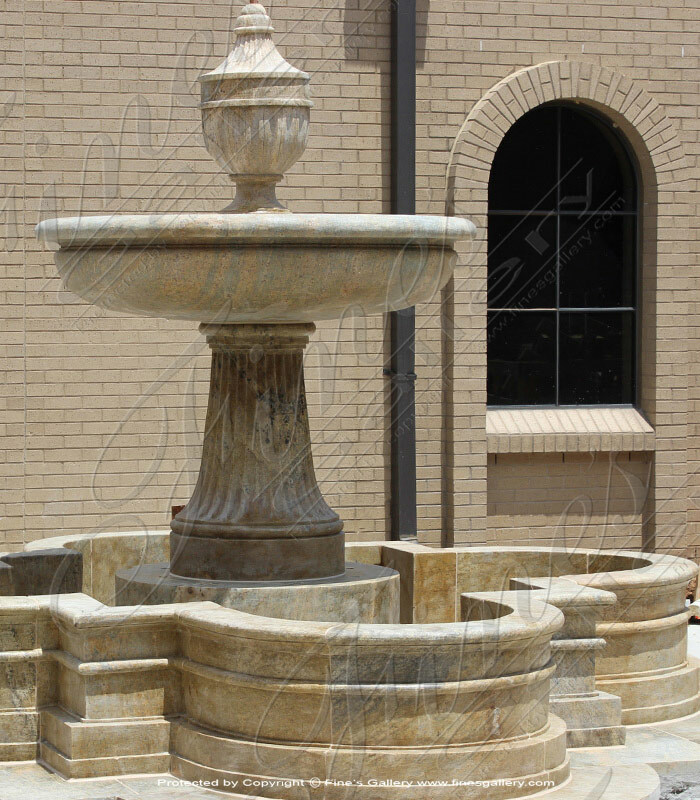 This classic Apuan Alps Granite Courtyard Fountain creates stunning waterfall elegance, each basin edged in decorative scalloped grooves. 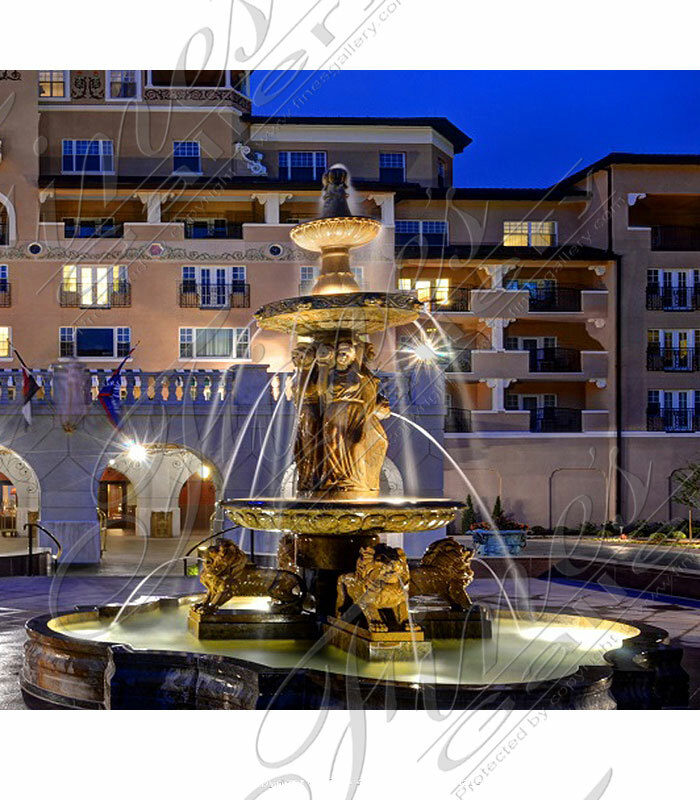 This piece adds immediate sophistication to the surroundings. Delivery to all of US & Abroad. 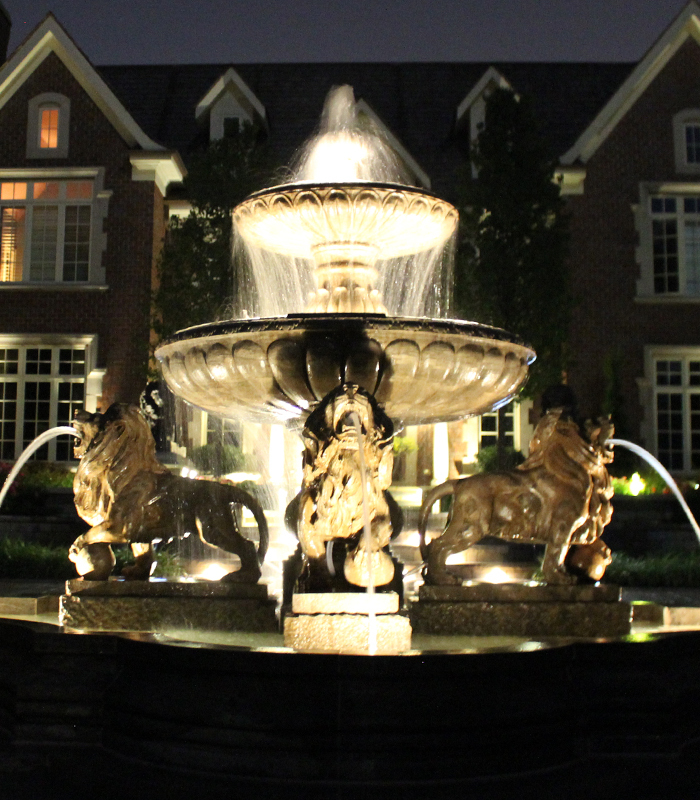 Elegant and majestic, this Monumental Granite Fountain IV is a natural wonder. 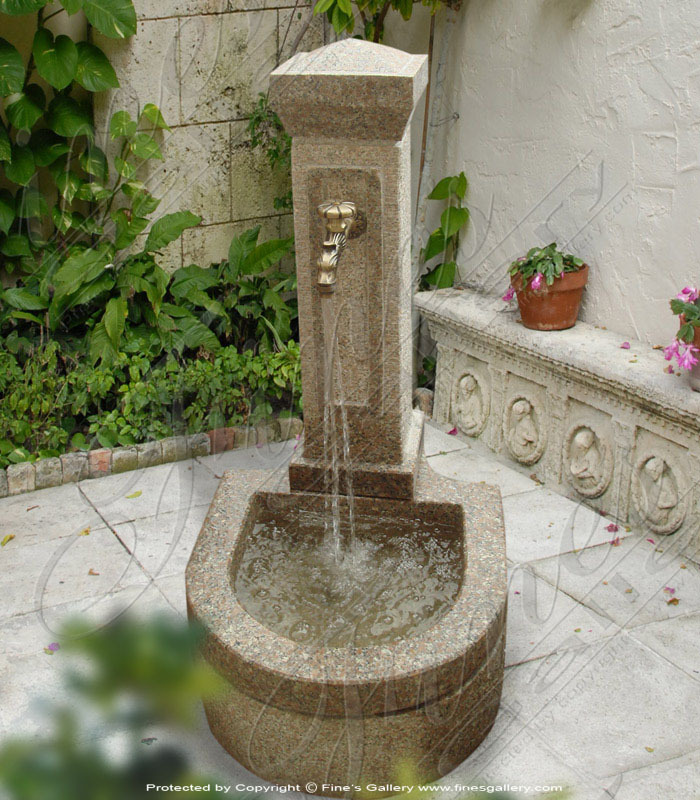 Featuring stunning naturally quarried antique gold granite. 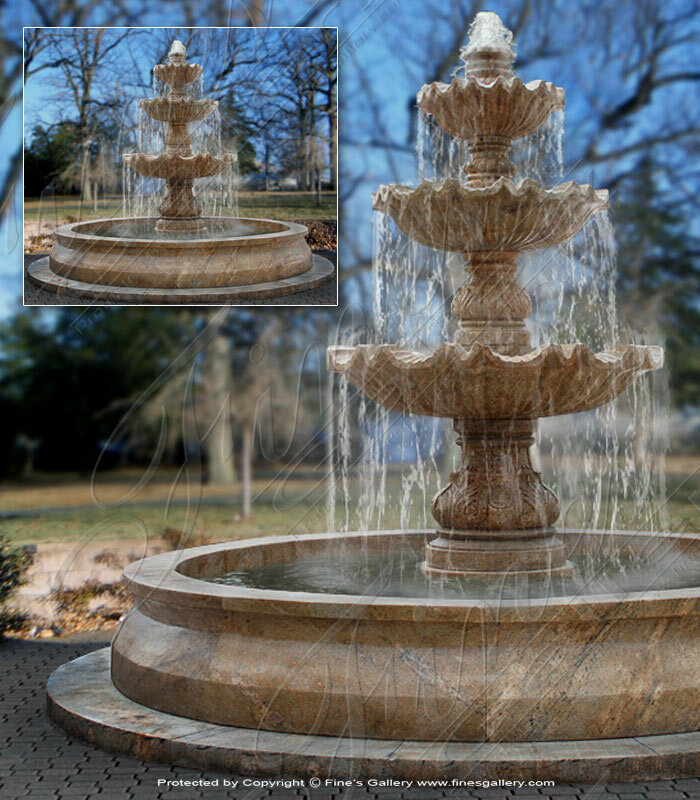 A massive accanthus leave engraved structure supported by spiral columns set inside of quatrefoil pool. 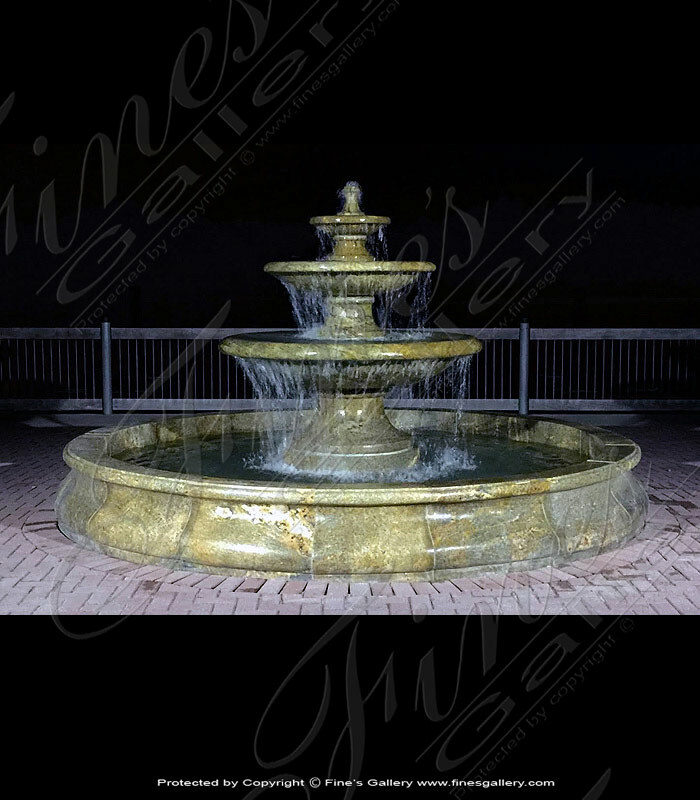 Florence Gardens Granite Fountain, sculpted from gorgeous Antique Gold Granite, this fountain is a luxurious display for this stone's natural beauty. 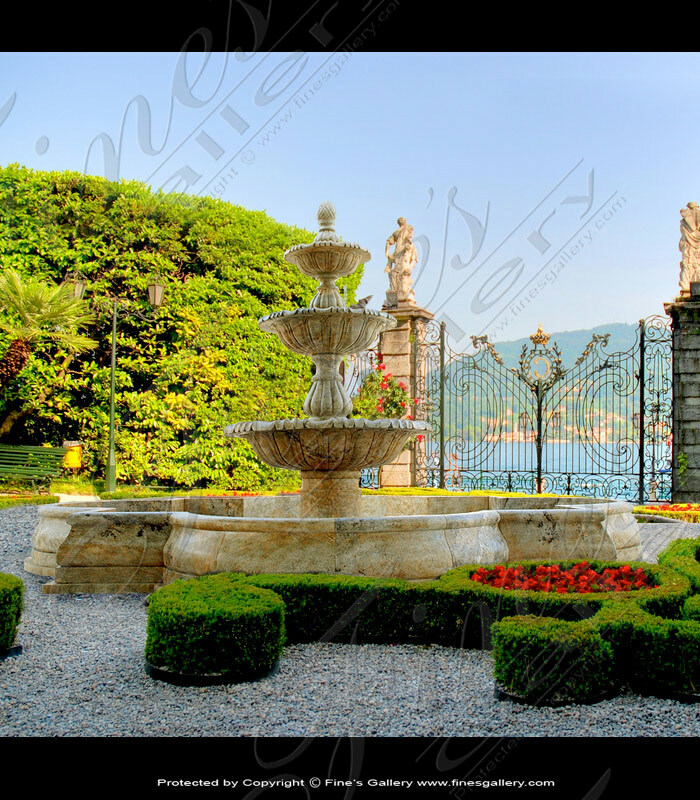 Its classical architecture and majestic waterfalls will create an atmosphere of beauty and intrigue. 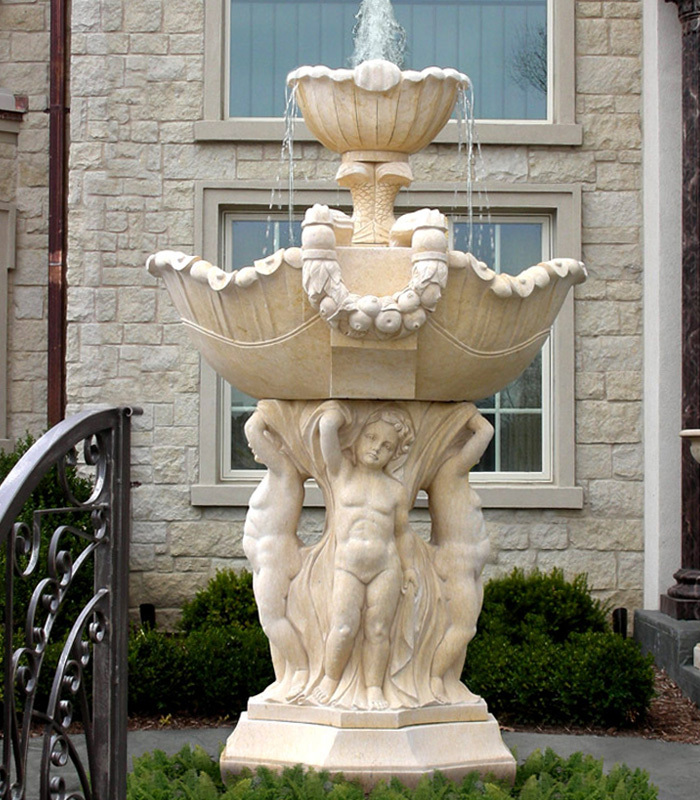 This beautiful Imperial Granite Garden Fountain has been carved from 100% natural solid granite. 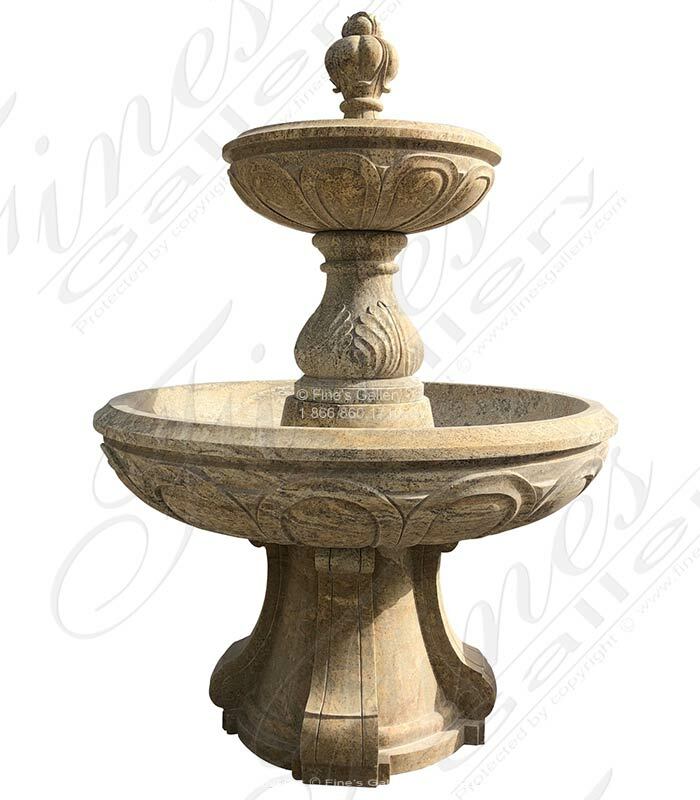 This fountain makes a beautiful addition for your circle drive or garden and is ideal for all climates. Contact us today for more information. 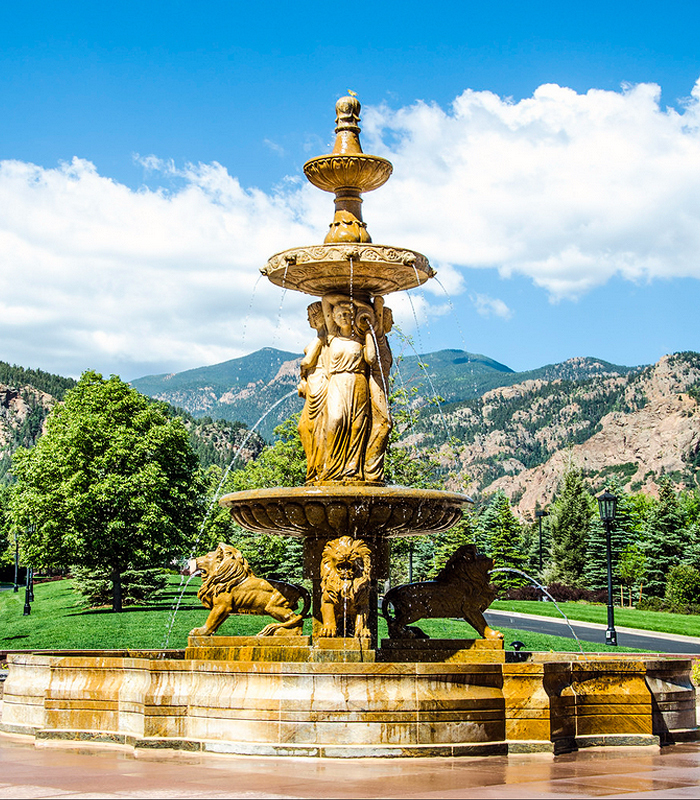 Monumental Granite Ladies and Lions Fountain. 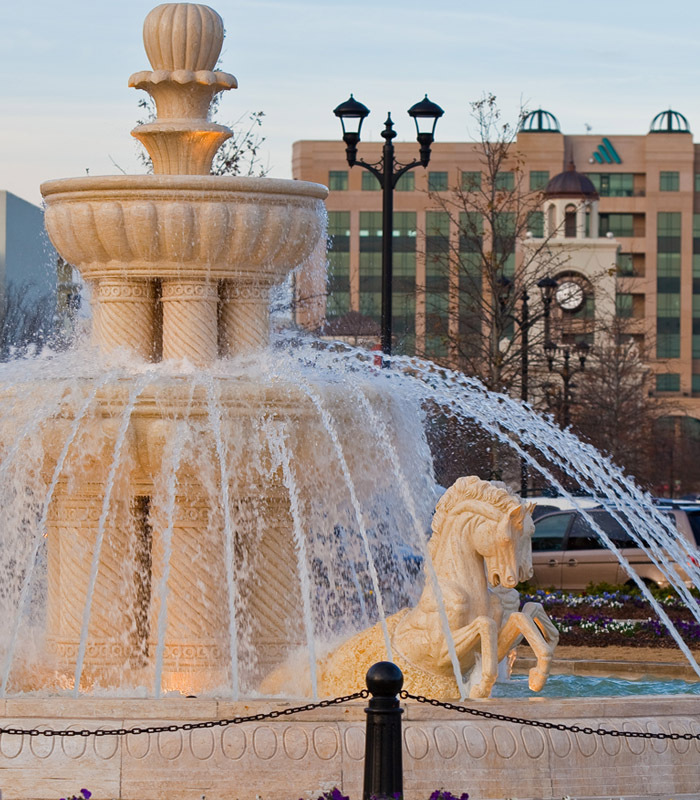 Gorgeous Grecian females and lions are displayed within this 14 foot high fountain. 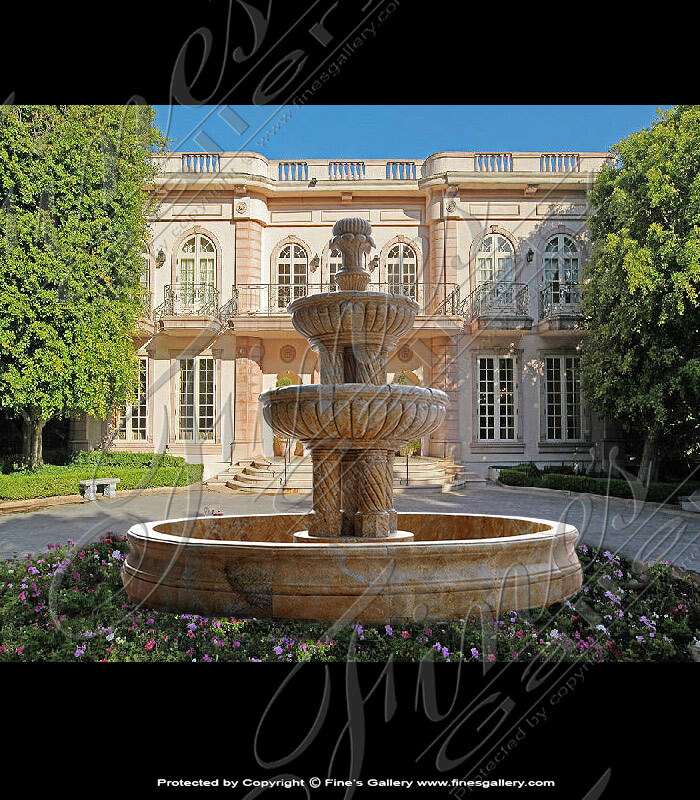 This antique treasure will add elegance and history to your surroundings. 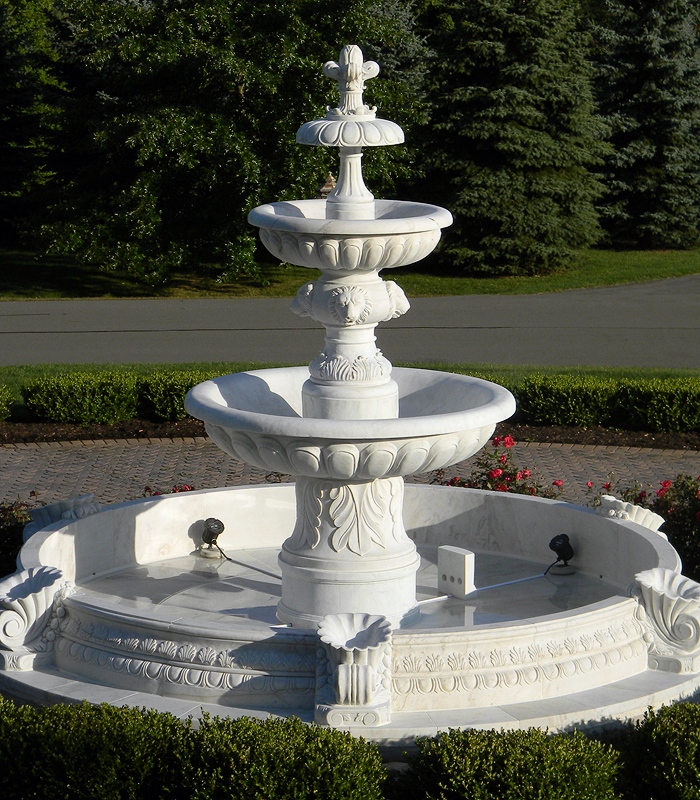 Available in white marble. 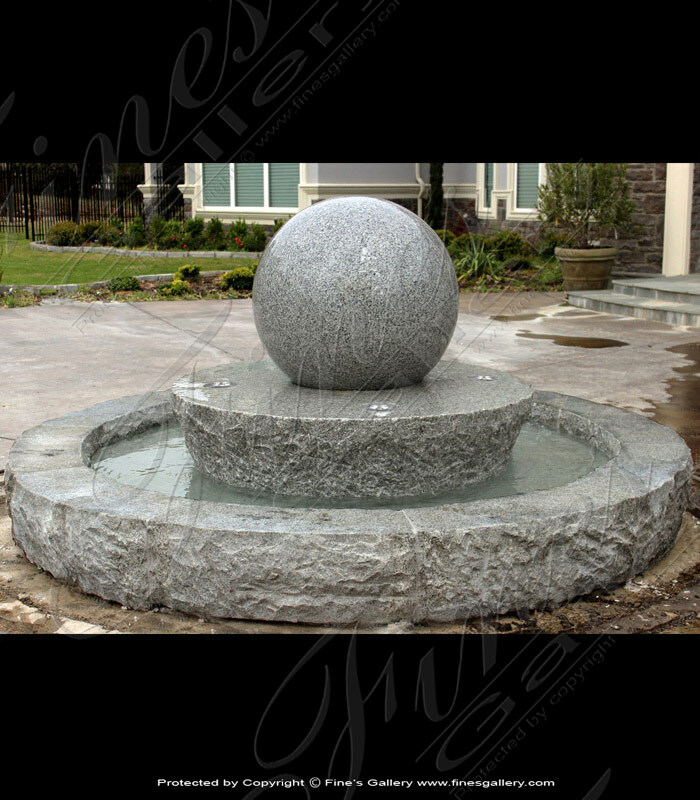 Transitional Granite Fountain Installation. 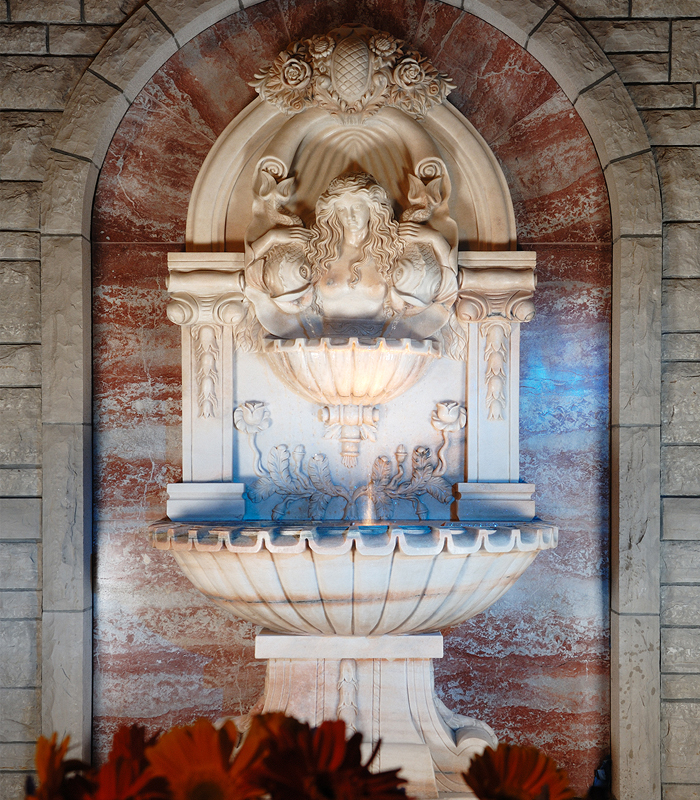 Breathtakingly sophisticated, this triple tiered fountain is made from gorgeous Antique Gold Granite. 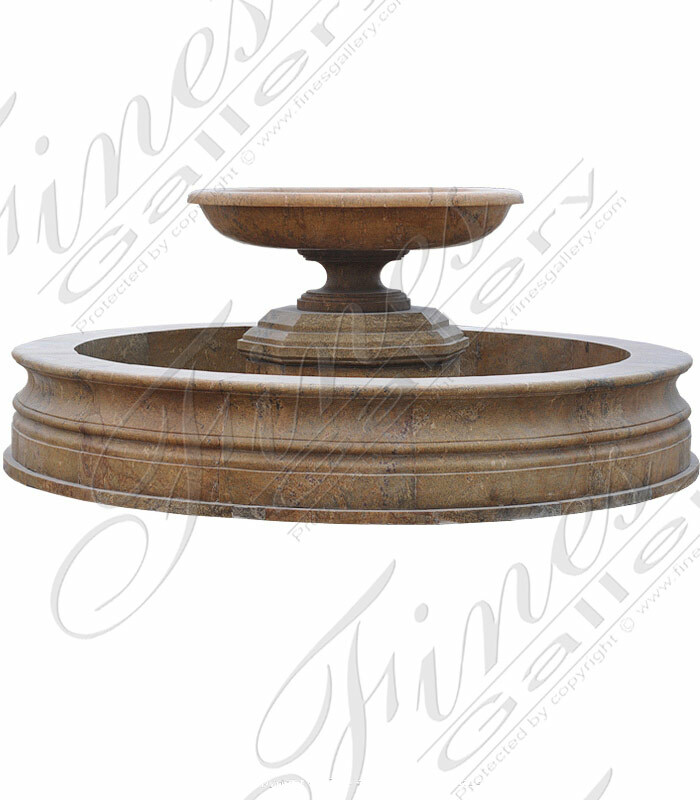 An elegant piece that will create an atmosphere of beauty and luxury. Made from our genuine marble in a unique speckled design with a multicolored arrangment of natural brown and gray tones. Simplistic design, with a single faucet stream falling into a small basin below. Call or email us today. 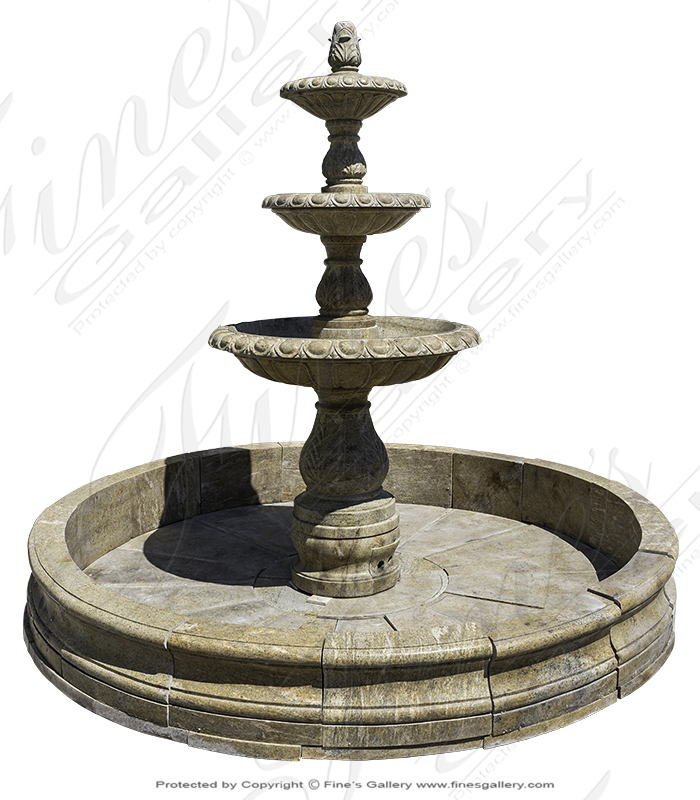 A compact three tiered granite fountain, perfect for use in a circular driveway or garden setting. Granite also makes for a wonderful addition to a commercial lobby. 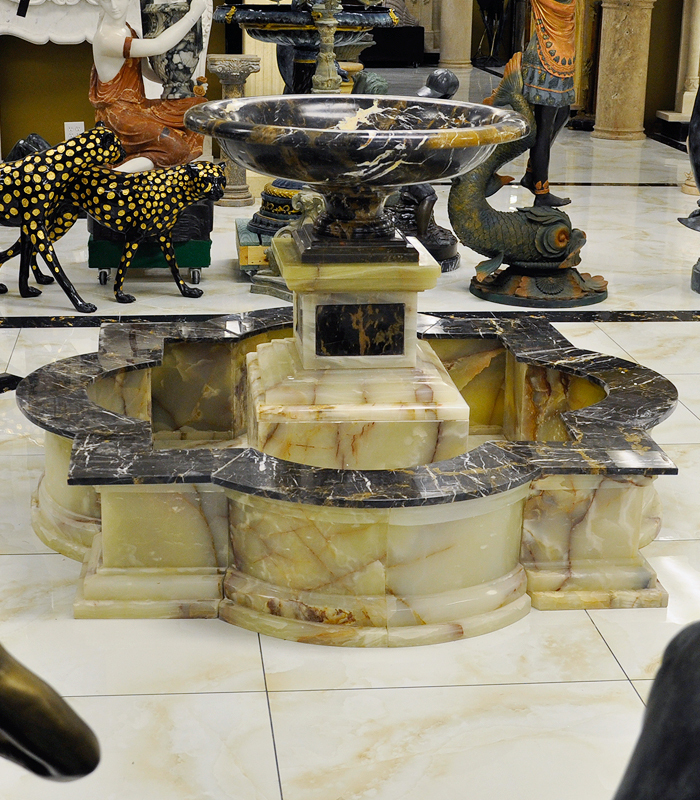 This fountain is carved in great detail from a beautiful golden granite. 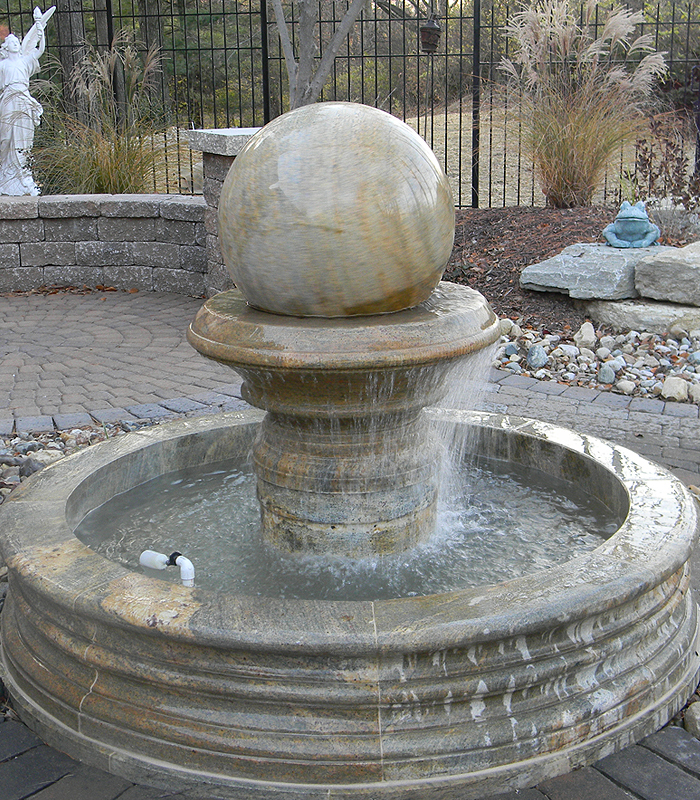 Sophisticated and modern, this elegant fountain features a large rotating sphere and majestic water melodies. 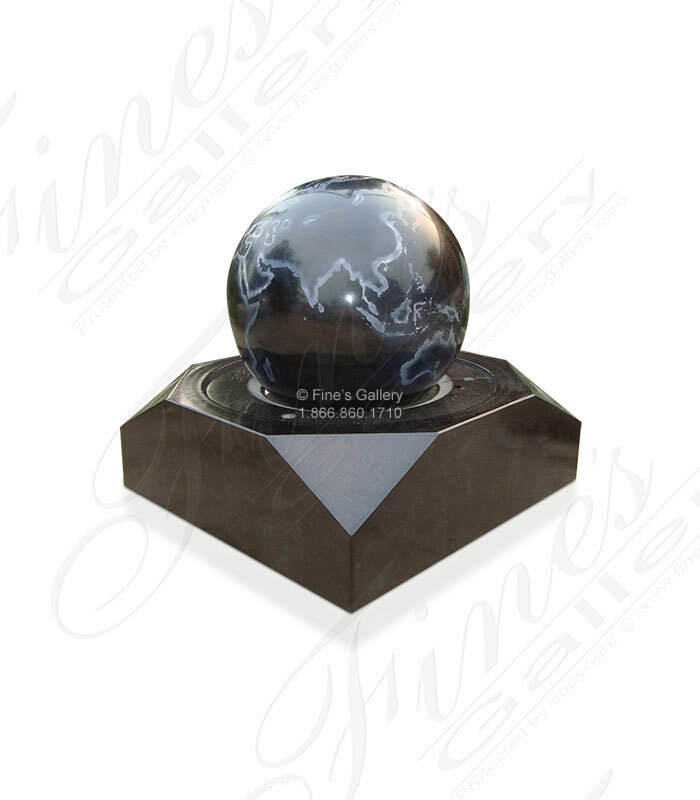 Sculpted from gorgeous dark gray granite, this piece can be customized to your specifications. Please contact us for a custom quote. 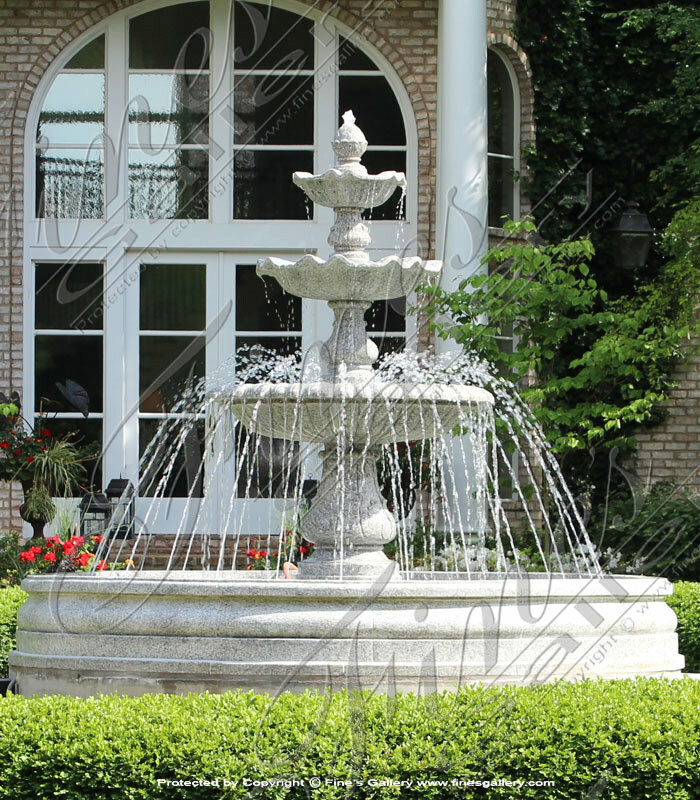 This beautiful granite fountain leaves lasting impressions of elegance upon the surroundings. 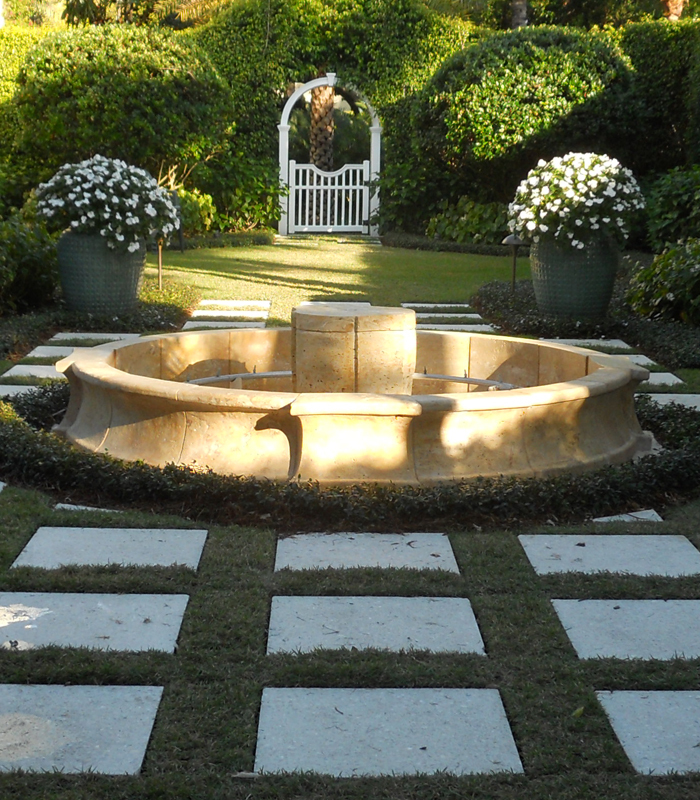 Sculpted with a simple and elegant design, this fountain and square quatrefoil shaped pool is shown in granite with matching tones of natural beauty. 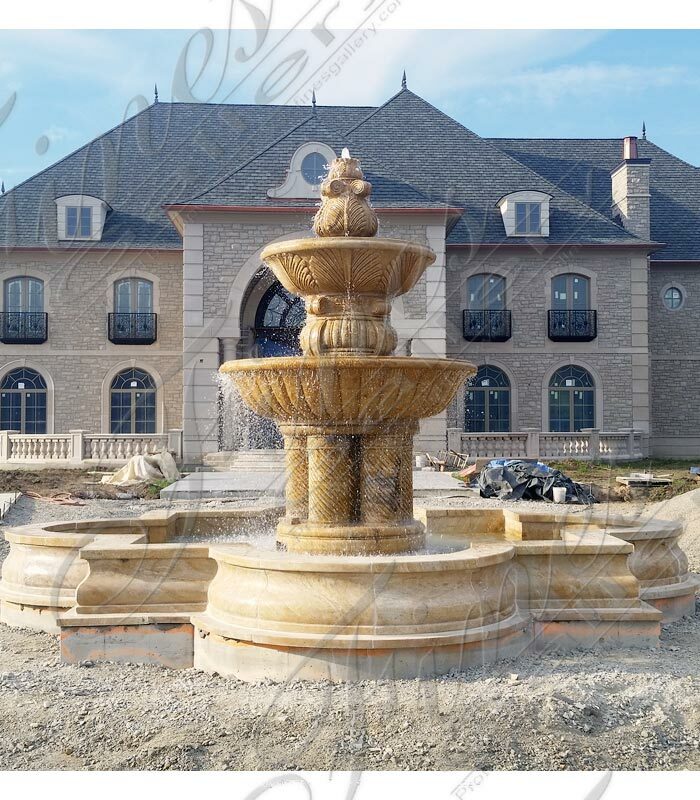 This triple tiered fountain is highly decorative with sculptural and artistic detail and a matching square quatrefoil shaped pool. 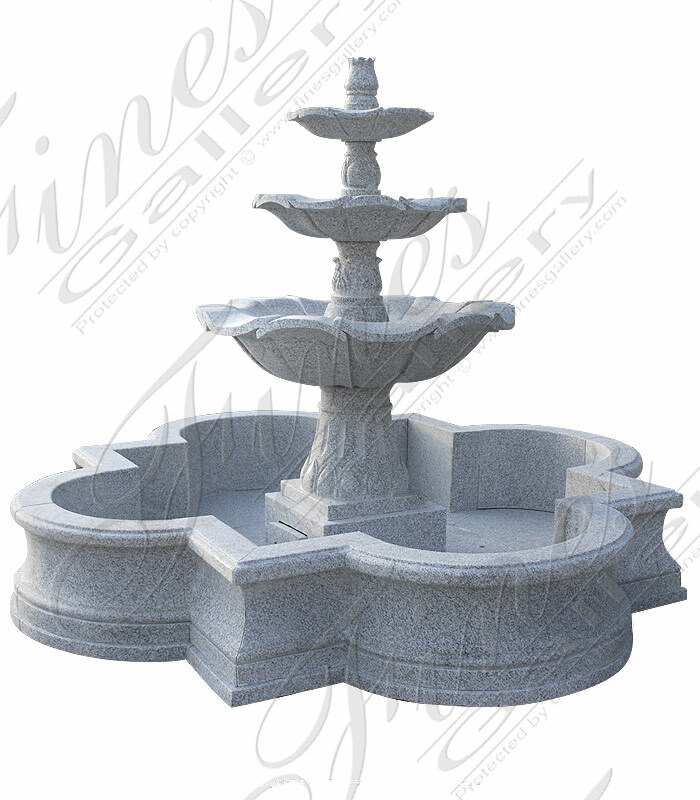 Made from grey granite, the beauty of this piece leaves impressions of pure elegance upon the surroundings.